Afford yourself to transform your garage into a well-secured store. Garage door lock replacement service for your Garage is a handy assistance you can use in any circumstances. The garage is an integral part of our home to save the precious items safely. The majority of the homeowners use garages to keep their most valuable possessions, including cars, bicycles, household appliances, family heirlooms, lawn, sporting equipment, and etc. The garage is also frequently used by businesses for storing various valuables. Besides, many people use the garage doors as the main entrance to their home. These reasons make it essential to have a handy and flexible residential locksmith service in necessary situations. If your garage door isn’t properly preserved, then your property may not be guarded either. That’s why the garage door locks should be solid and well protected. The optimal way of securing your garage is to equip it with the effective and stable locks. We provide all types of garage door locks changing services. 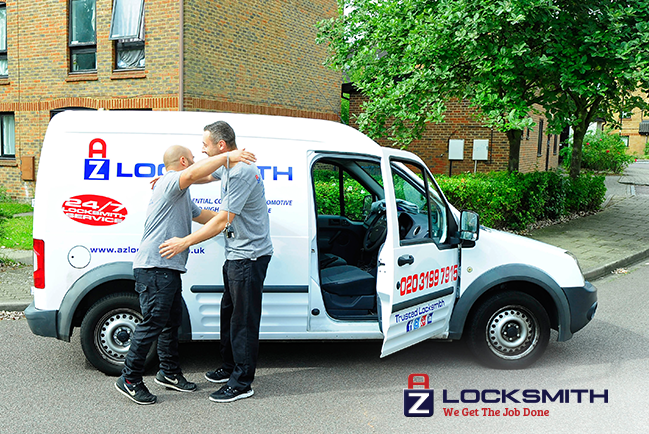 Our experienced locksmiths can replace your door locks with an innovative & up to date secure locks of various security levels that will keep potential burglars or thieves away. Since your safety is our biggest concern, all our products and services are covered by a 1-year guarantee. Our security experts are trained especially in fixing issues with garage door locks. They can come to you very soon and change your locks in a timely manner and at a reasonable price. We guarantee quick and warrantied services for your residential or commercial needs. In addition to lock replacement services, we also offer garage door lock fresh installations and repairs. Call us today to schedule an appointment to get an immediate assistance from our security experts.